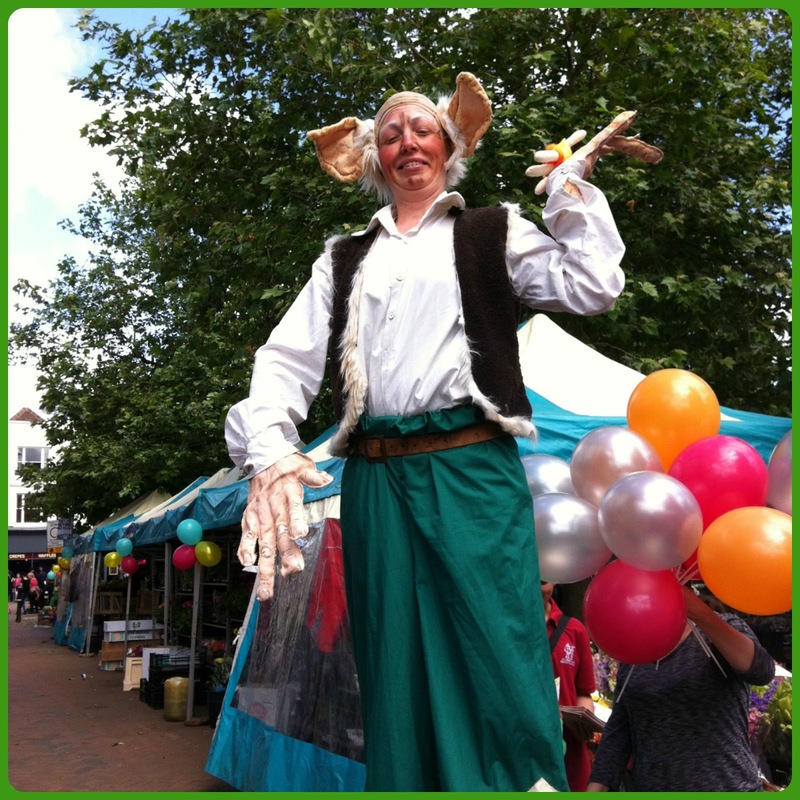 For the second year in a row we enjoyed a Wondercrump Day at the Roald Dahl Festival in Aylesbury. 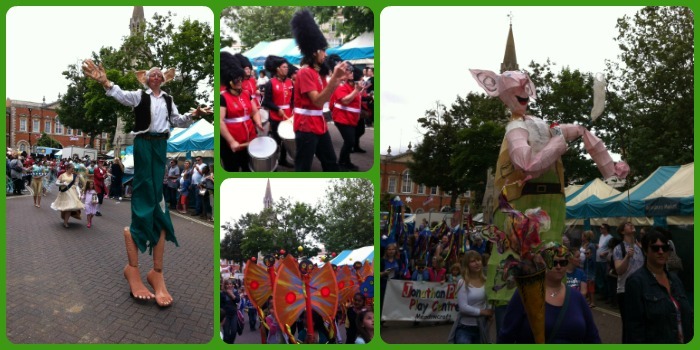 We are so lucky that this event takes place in our local town as it really is a spectacle. The theme this year was The BFG. We thoroughly enjoyed the Parade and activities of the Roald Dahl Festival last year so I was pleased that I could take Little Miss A along again (and take Baby R of course but he slept through most of it!). She's still too young to know the stories but it really doesn't matter as it's all about the sights and sounds of the Parade and then having fun doing some of the activities. We took the bus into town and arrived in good time to see the Parade. Just as were finding a viewing spot we encountered our first BFG! I must admit it is years since I read The BFG so I couldn't remember all of the story but in the Parade there were the obvious characters of the BFG himself, Sophie, the Queen ('her Majester' as the BFG calls her) and also things that are referred to in the book such as Dream Jars. Little Miss A loved all the bands and was dancing away. There was so much to look at and it's such a colourful and fun Parade. 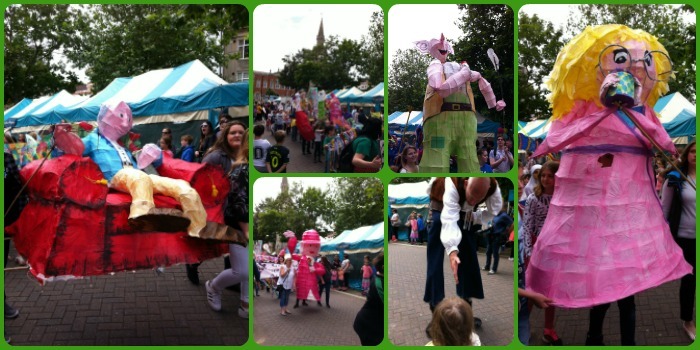 Once the Parade had passed by, we headed to Aylesbury Library to see what was going on there. They were doing a Dream Bottling Craft which Little Miss A got involved in. There was also a trail but this was aimed at older children as you had to guess the title of Roald Dahl books from picture clues, so we didn't do this. There was also going to be some storytelling, but I decided we'd take a wander to see what else was going on. We headed to Kingsbury where there was a large marquee set-up with lots of different craft activities. I also bumped into some of my colleagues from the Buckinghamshire Family Information Service. Little Miss A was more interested in the band playing and the big inflatable slide than anything else but I did help her make a BFG face out of clay! Our final destination was the Bucks County Museum. 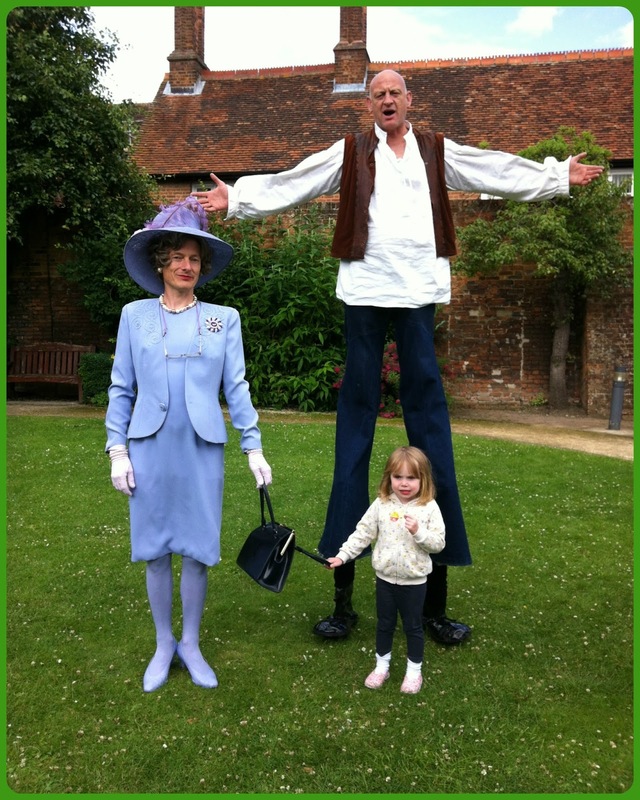 We timed it just right as when we went in to the gardens, we came across the BFG and her Majester! 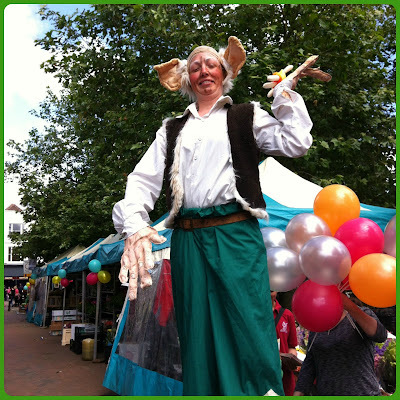 During the Parade, this BFG had bent down to say hello to Little Miss A and she went all shy. So I was surprised when she patiently waited her turn to have a photo taken with him! We had a wander inside the Museum and started doing their trail but didn't quite get to complete it. There were crafts there as well but Little Miss A wanted to play with the wooden train. There's also a new Roald Dahl's Buckinghamshire exhibition just opened but we'll have to re-visit the Museum another time and see this. They were offering special discounted entry into the Roald Dahl Children's Gallery but we didn't get the chance to go here. By this point Little Miss A was overtired and things started deteriorating so it was time to go home. Just at the right time as well as the heavens opened and there were hailstones whilst we were on the bus! There was so much going on around town that we didn't get the chance to see and there was definitely more than last year so this event seems to be getting bigger and better. There's always next year to try to do more of it! 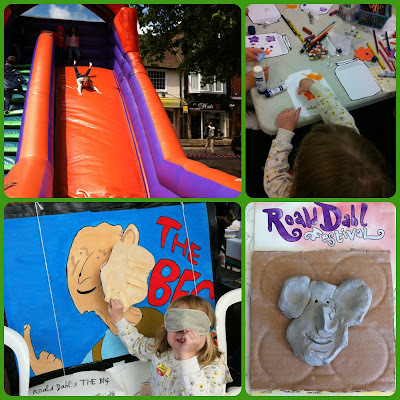 If your kids like Roald Dahl then the Roald Dahl Museum and Story Centre in Great Missenden is a must. Also, there's the Roald Dahl's Countryside Trail which is a really nice walk starting from the Museum and taking in places that inspired Roald Dahl's stories.